In Maryland, a “limited divorce” may be considered the best of both worlds. Some call Maryland’s limited divorce a type of legal separation if you and your spouse just cannot live under the same roof but want some form of legal documentation that designates your independent status. However, like the term suggests, there are limitations. To file for a limited divorce in Maryland, you must meet certain criteria. If you can prove that you and your spouse have separate living quarters – and not just in separate areas of the house -- you can petition the court for a limited divorce. Other criteria include desertion by one spouse or behavior deemed abusive or unreasonably cruel toward either spouse or children who live in the house. A limited divorce establishes the date on which you and your spouse separated. Maryland doesn't have a formal separation filing, therefore, couples that have separated, or intend to separate, sometimes proceed with a limited divorce as the first step in dissolving the marriage. Other states and jurisdictions might consider this type of divorce action equivalent to a legal separation; however, a limited divorce in Maryland also has the benefits of permitting an impartial party, such as the court or a court-appointed mediator, to assist in resolving the couple’s differences. Couples that can’t come to an agreement on the custodial arrangements or division of property may benefit from a limited divorce as a precursor to an absolute divorce. A significant limitation over a full divorce is that neither spouse can become sexually involved with another person during this separation. Since the parties are still married during a limited divorce, if they were to become sexually involved with another person, that constitutes adultery. Parties are also prevented from sexual relations with each other. Neither spouse can marry someone else – only an absolute divorce allows either party to remarry. 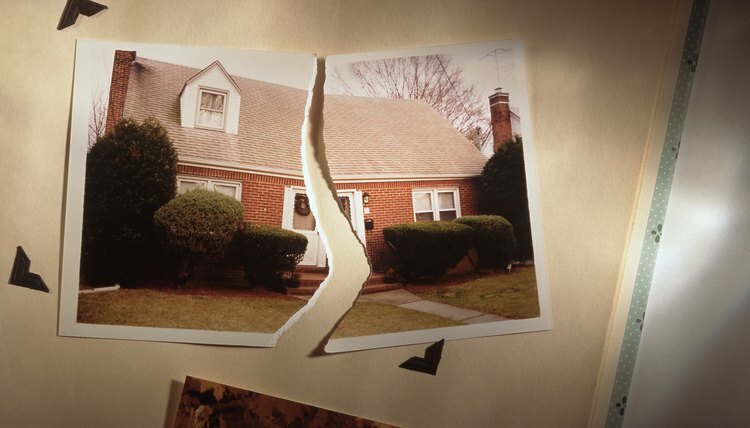 Additionally, a limited divorce doesn't terminate property claims. Property owned together remains property of both parties. In a limited divorce, the parties must permit the court to assist them in reaching a mutual agreement for settling property and custody issues. Because a limited divorce doesn’t have the finality of an absolute divorce, there remain matters to be settled. A limited divorce serves to separate the parties so the court can help them resolve issues related to marital and personal property, as well as the future of children of the marriage. The court determines how the couple distributes property as well as how best to structure custody of the children. In a limited divorce, the court decides on the custodial arrangements, based on information the parties provide. Couples who want a divorce can go straight to an absolute divorce. A limited divorce period isn’t necessary for couples who want more finality. A limited divorce is revocable, therefore, if the parties decide to reconcile, they can do so without going through the expense of divorce and then deciding that they want to stay married after all.